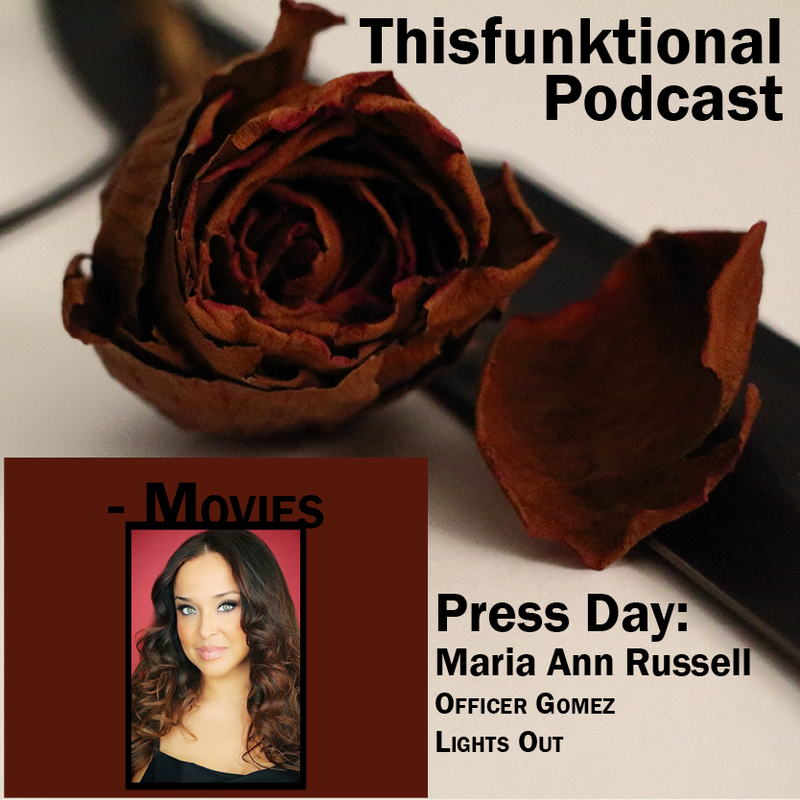 Actress Maria Ann Russell, who plays Officer Gomez in “Lights Out,” Talks with Jesus, @Thisfunktional of thisfunktional.com, about her role. Russell talks about playing Officer Gomez, horror as her favorite genre and the return of the Latina Christmas Special in 2016. Russell has been part of theater productions, tv, movies and is a dancer. Find Maria Ann Russell on her Actors Access Profile, IMDB Profile, Instagram, Facebook, Twitter and YouTube Channel. “Lights Out” opens in theaters July 22.